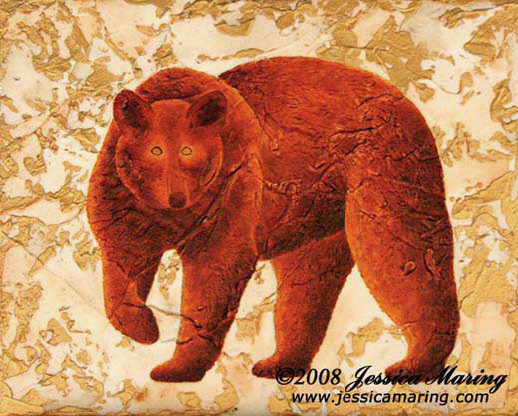 Bears appear in the art of many ancient peoples. The photo above right is of a painting done about 30,000 years ago on the walls of the caves at Chauvet, France. The photo to the immediate right is a petroglyph bear near Moab, Utah, attributed to Native Americans, drawn sometime within the last thousand years.